Where are you? Looks lovely! 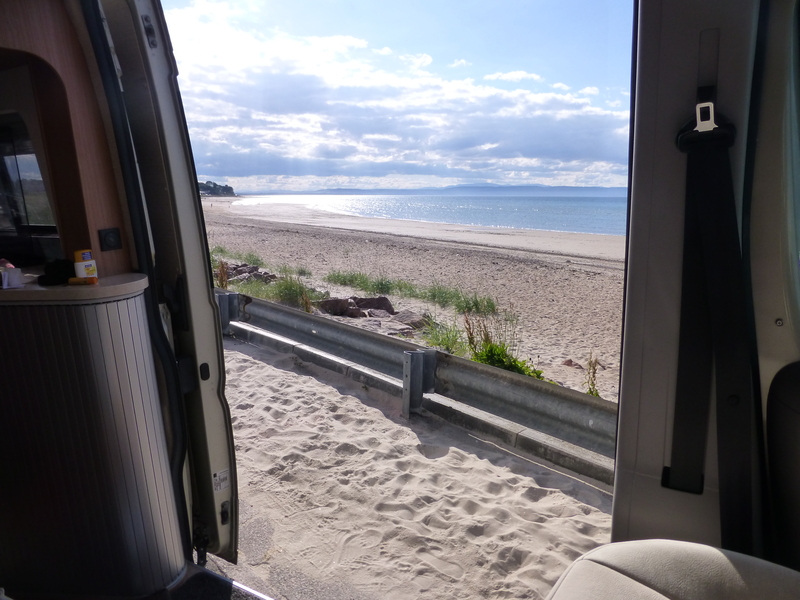 I’m looking out to Nairn, on the Moray Firth. It’s beautiful. Very, very nice! Bet the sunrises or sunsets are great! You’re right, and because I’m so far north there’s only a couple of hours of “darkness”. Irresistible actually! t’s possible to walk for miles, barefoot, and not meet another soul – so long as you get up early enough. That must be wonderful – all that pristine sand. I was awake at 5am this morning, the tide was low and couldn’t resist getting out onto a wide, open stretch of sand. Good for the soul. Beautiful time of day. I’ve been having to get up at that time with the new puppy, but being on the beach at that time would be so refreshing!